When you hit the golf course, what do you take with you? Of course, you won’t forget about your clubs, balls, and cart, but what about your golf gloves? 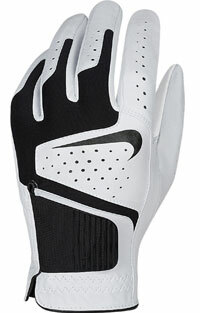 Gloves are one of the most overlooked pieces of golf gear. While you may think you don’t need a glove, you’ll find that wearing one can change your game dramatically. Gloves can do wonders in terms of comfort and grip. Depending on the season, golf gloves can keep your hands warm or evade that uncomfortable clammy feeling. With a glove, you can also avoid calluses and chafing. They will improve your grip, allowing you to take a swing with confidence. That being said, not any ordinary glove will do. 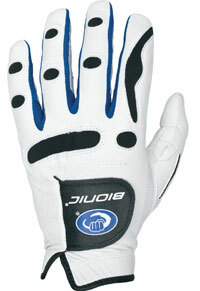 Golf gloves are specially designed to improve your game. They should fit perfectly and feel like a second skin on your hand. They should improve grip and be durable enough to serve you for many seasons to come. Here are some of the best gold gloves available for every season. This glove from Bionic is both stylish and comfortable. Made from a combination of synthetic and genuine leather, it is durable enough to take a beating. Despite the thick material, the glove is fairly flexible thanks to a breathable mesh material throughout. 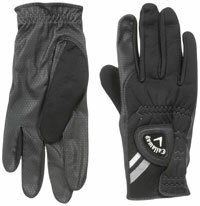 The mesh allows air to circulate the glove and keep your hands dry even in the hottest weather. It has a light grip, ensuring that your club stays in your hand without being overbearing. You’ll still be able to feel the club completely, making it perfect for any golfer. 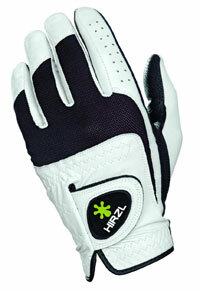 This glove from Hirzl is truly unique, as it is made from textured kangaroo leather. It is incredibly durable and provides more than enough grip. In fact, the palm is completely sweat resistant. It’ll provide 3 times more grip than other gloves when dry and 5 times more when wet. Ventilation holes in the leather and breathable fabric make it comfortable to wear in any condition. While it may be on the upper end of the price spectrum, it’s certainly worth the investment. 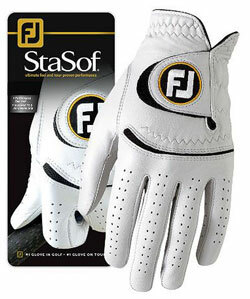 FootJoy is a respected brand thanks to items like the StaSoff golf glove. It is made from an inventive material. Cabretta leather is highly sought after because of its durability. This glove is the number one Cabretta leather glove in the world and has been for over 25 years. 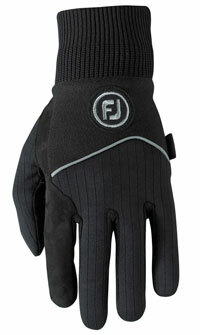 FootJoy created new technologies to make this glove top-of-the-line. This includes Taction performance leather to improve grip and ComforTab technology for fit and comfort. It’s not difficult to see why this glove is one of the best. From Callaway comes the Xtreme 365 gloves. These gloves are made to withstand tough conditions without being cumbersome. The Opti Flex material is very thin and light. It provides the flexibility and comfort needed to play effectively. The synthetic leather is digitized and reinforced, ensuring that the gloves are durable enough for the elements while improving grip. A terry cloth cuff and adjustable closure system keep the weight down while ensuring that you are comfortable at all times. Nike is known for their superb sports gear. 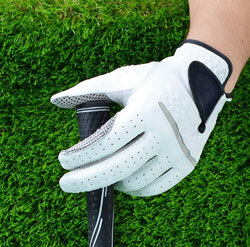 With this leather golf glove, the company has used their Dri-Fit technology, which is present in other types of gear as well. It is on the back of the hands and fingers, making sure that you stay dry without sacrificing flexibility. The palm is made from Cabretta leather for improved grip. Ventilation holes throughout the glove let air in to keep the sweat out. A flexible closure system makes it easy to get a snug, yet comfy fit. If you’re looking for winter gloves that’ll keep you warm while still providing adequate grip, the WinterSof glove from FootJoy is a great option. It has thin insulation inside to keep your fingers toasty and dry. High-quality Cabretta leather is on the palms for traction. Fleece is also used throughout the design to add further insulation. The knit cuff will keep the elements out of your glove. Despite the numerous layers that wrap your hand, the glove is lightweight and durable. 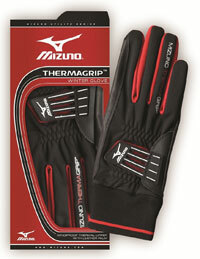 The ThermaGrip gloves from Mizuno are great for winter golfing. The outer material is made from a waterproof fabric. It is flexible enough for complete movement while protecting your hands from the wind, rain, and snow. The palms are made from full-grain leather to improve your hold on the club. A knit cuff will keep the cold out and give you a snug fit. The gloves are sold in pairs, so you can rest assured both hands are protected on the course. 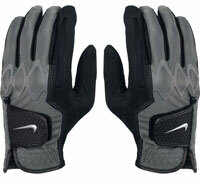 These glove from Nike are great for protection and traction in less-than-desirable conditions. Synthetic microfiber in the palm will improve your grip in wet conditions while the micro-flex inserts located in the fingers will give you the full range of motion. The knuckles have a silicone mold, which is designed to give you better flexibility and a great fit. The closure system is also designed with comfort in mind, allowing you to golf without having to worry about the glove falling off. This winter option from Callaway has a unique palm pattern that is designed to give you complete control in wet environments. It is made from digitized leather. The unique texture is similar to the sole of shoes, ensuring that you get the perfect grip. The outside of the glove is made from Opti Shield microfiber, which repels water and moisture to keep you dry. Inside, the thermal fleece will keep your fingers and hands toasty as you make your swings. The closure is thin, secure, and doesn’t add any unnecessary bulk. 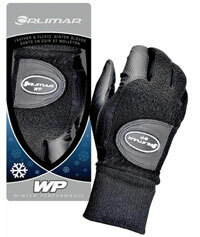 These gloves from Olimar are very affordable and perform great in cold and wet playing conditions. They are made from synthetic leather and polar fleece. The leather on the palms is textured to maximize grip in any condition. The fleece is completely water resistant, allowing you to play without worrying about water penetration. It’s also breathable and comfortable to wear for prolonged periods of time. The elastic cuff is quite thick to keep out the weather, yet comfortable enough to provide a snug fit. All in all, golf gloves are your friend on the course. They can dramatically improve your game by providing superior grip and protection. Whether you wear a single glove or a pair, you’ll notice a change with your first swing. 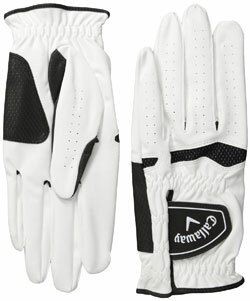 Golf gloves come in all styles and materials, from thin and breathable leather to insulating fleece.